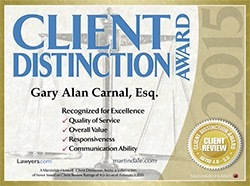 Attorney Profiles | Carnal & Mansfield, P.A. Meet the Attorneys at Carnal & Mansfield, P.A. When faced with a legal question or navigating a legal transaction, you want informed and trusted legal counsel. At Carnal & Mansfield, P.A. in St. Petersburg, Florida, our lawyers will take appropriate action to protect your rights and interests. Attorneys from our firm can represent you in real estate transactions, help you plan your estate, and guide you through bankruptcy to achieve a favorable financial future. In all matters, you can trust that we will take the time to understand your individual needs, answer your questions, and develop a personalized solution to resolve your legal concern. Call 727-381-8181 or contact us by email for an initial consultation with our experienced Pinellas County real estate and elder law attorneys. Our firm offers a 20% fee discount to AARP members.